The Chief Executive Officer of the Pakistan International Airlines—a serving Pakistan Air Force Officer—was seen on television saying that he had not fired a single employee of the airline and all those who had been relieved of their jobs were those identified by the court as having fake or no degrees and it was the court that had ordered their termination. Instead of saying this the CEO should have accepted the airlines lapse in hiring unqualified people thereby endangering the lives of passengers and failing to discover their incompetence and lack of qualifications. He should have thanked the judiciary for stepping in to do the airlines’ job and not only accepted full responsibility for firing the unqualified personnel but also explained what kind of a verification and personnel reliability program he was introducing to prevent such lapses in the future. This episode highlights the present situation because the outgoing Chief Justice of Pakistan had taken it upon himself to step in wherever the executive and the legislature were failing to or incapable of shouldering their responsibilities. 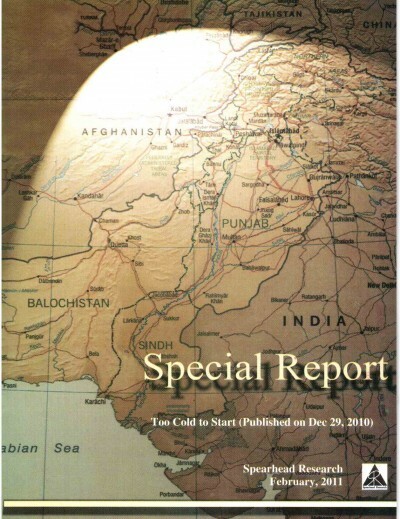 Apparently the executive, the legislature and the administration were quite happy with The Chief Justice visiting hospitals and prisons, laying down the fee structure in private schools across the country, establishing and raising funds for the construction of dams both within the country and abroad, highlighting the water issue facing the country, initiating a population control program and ordering the demolition of all unauthorized structures. His high profile and high impact activities and his acerbic comments gave the media more than enough to keep them thriving. He brought in the Joint Investigation Team (JIT) system of investigations to make up for the incapacity and incompetence of investigating and prosecuting agencies. In a way he became the ‘law and the order’. There is no doubt that what he did helped to secure the rights of the people that were being sadly neglected. He was a man driven to deliver and he delivered. 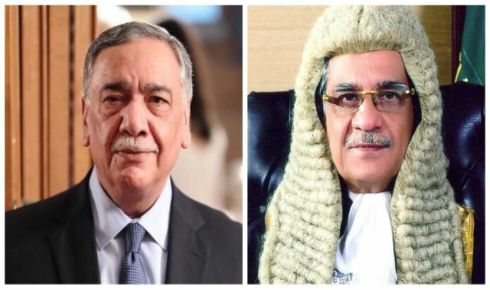 The question that will be long debated is that– should he have brought in this judicial activism that absolved the executive and the legislature of their responsibilities and in the process gave the administration orders that they gleefully carried out while saying that they were doing everything on the orders of the CJP? By doing all this did he strengthen democracy and institutional capacity? Military courts were brought in because judges feared for their lives while trying terror related cases. Prosecution witnesses were murdered and criminals and terrorists went scot free because the investigative and prosecuting agencies failed to provide evidence on which convictions could be based. Even now several high profile cases are pending and no one knows the reason why. The military courts rapidly dealt with cases referred to them by the government and dispensed justice. There should have been introspection to develop enough capacity so that the recourse to military courts became unnecessary as these should not be a permanent feature in a democracy. The matter is being debated by the political institution but the comfort that comes from relying on such arrangements should not be acceptable. The CJP retires in a few days and speculation is rife whether the new CJP—a much respected judge—will continue with the suo moto-JIT-activist regime of his predecessor—also a greatly respected judge– or will he opt for strengthening democratic structures by insisting that the executive and the legislature shoulder their responsibilities and do their jobs. He can still highlight issues and get people to get their rights and be empowered but without getting personally involved in issues that are outside the judicial domain. If he does this then he will, in a way, be carrying on with the legacy bequeathed by the outgoing Chief Justice thereby ensuring continuity as well as insistence on governance by the government.